From a network of 10 to a network of 10,000, we help you navigate the complex landscape that is IT management. From equipment selection and procurement, to overall technology strategy, to leveraging the web, to keeping your technology operation safe and secure, we can help manage your IT initiatives in a way that maximizes impact while minimizing budget. ‘We’re here to help’ is more than a slogan to us, it is what our whole operation is built around. From our client-driven helpdesk ticket system that does not close an issue until the end-user confirms it’s fixed, to our powerful remote access and support tools, to our friendly, expert techs, we are setup to help users with any computer issue. From printing problems to solving issues with complex back-office server systems, for problems big to small, we truly are here to help. Sometimes a little outside help is needed to bring fresh clarity to a big decision. Our staff has nearly two decades of experience in leveraging technology to achieve business goals. From hiring, to technical project management, to specialty technology services, to design/development and everything in-between, we can help you take your IT projects from good to great, with help and expert guidance every step of the way. The Internet is an essential resource for any business, big or small. Communication is the lifeblood of any business, and we can help you leverage Internet technologies to their fullest. From secure (encrypted, end-to-end) email hosting, to interactive, mobile-friendly websites, to leveraging web development to offer new services and reach new markets, our technical staff knows the web and can help you leverage it to its fullest. Great computer support doesn’t have to be only at work. We provide all the same support and maintenance services for home users as we do for our business clients. With so many people working from home these days, the lines between work and home are blurring, and we can help you keep all of your computers running smoothly. From secure, 100% end-to-end encrypted email (perfect for medical/legal users sending sensitive information over email), to network security and/or HIPAA audits, we can help you make sure your network is fully protected. From proactive management, to best-practice advice, to equipping you with all the information you need to make an informed choice, we can help your network be highly secure and highly functional. From purchasing to upgrading to supporting your users and applications, we’ve been supporting Windows PC’s and servers since 1998. We can help you purchase and deploy windows machines on your network, as well as provide all of the maintenance and support to keep them humming along. Not all computers are Windows machines and all of our techs have deep experience supporting Macs and OS X (or, macOS as it’s called now). We can help you setup your Mac for network/company use as well as provide expert support for your Apple desktop or laptop day in and day out. We can help you plan and deploy Office 365 Office apps (Word, Excel, Outlook, etc.) as well as hosted Exchange to your entire organization! Whether you have one user, or 100, Office 365 makes it easy to manage licenses and email hosting all in one place! 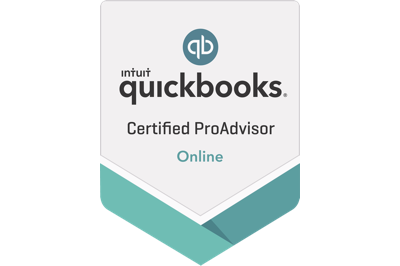 We are Quickbooks Online Certified ProAdvisors and we can help you set up or manage your businesses books, both for traditional for-profit business and non-profit businesses. Whether just starting out and you need some help with your chart of accounts and learning Quickbooks Online, or if your current books need some management, we are happy to help!